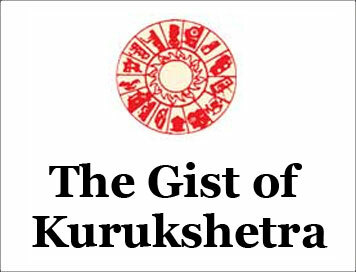 (The Gist of Kurukshetra) EMPOWERMENT OF RURAL YOUTH [JANUARY-2019] | IAS EXAM PORTAL - India's Largest Community for UPSC Exam Aspirants. Today, population of India is more than 130 corers and 62 percent of it is below the age of 59 years. More than 65 percent of the country’s population is of the youth below the age of 35 years. This makes India the youngest country in the world. The largest section in its population comprising of vibrant youth is a clear proof that at present, India has enormous wealth in the form of youth power and dynamic human resource. Youth is the most energetic and capable period of life. While most developing countries are facing the challenge of ageing population, India’s demographic situation is very favorable in this regard. It is estimated that by the year 2020, the population of India would have a median age of 28 years only as against 38 years for Japan. In fact, this favorable situation of demographic dividend in itself has opened the floodgate of vast opportunities for India, but to tap its full potential, it is crucial that the country’s economy has the capacity to handle this increase in labor force. Besides, youth should be equipped with appropriate education, skill, positive work attitude, the spirit of commitment and devotion for innovative contribution in the economy. But such imaginative thinking cannot lead to its realization in true sense. For this, the whole nation must show commitment for the holistic development of youth power of the country, especially in the rural areas. Only then will they be able to assess their abilities and become capable to make significant contribution towards the nation-building process. This is only possible through active and effective implementation of the programs of youth empowerment. India’s GDP is expected to grow by 2%. Economists also estimate that developed countries may have to face a shortage of more than 5 crore 70 lakh semi-skilled human resources while in India, there is a possibility of generation of about 4 crore 70 lakh manpower in surplus. This will not only meet the requirements of the domestic industry sector, but India will also be able to contribute significantly in meeting the demand of manpower at the global level. About 70 percent of the country’s population lives in villages and agriculture is one sector which is providing employment to the largest number of people. Despite this, the contribution of agriculture sector in the country’s gross domestic product is only 13 percent. In post independence period, for many decades, the lack of any concrete and effective policy concerning unequal access to opportunities, education and skill training, appropriate and constructive use of the youth in the rural areas could not be achieved. It is a known fact that youth living in urban areas have better access to adequate and good opportunities for education and training as compared to the youth in rural areas. Non-NDA Governments which ruled for long in the Past, did not take any concrete steps to overcome this imbalance. As a result, only that section of rural youth, which could afford to spend or stay in cities, was able to take advantage of government schemes pertaining to youth entrepreneurship or skill-training. The population of youth comprises about 40 percent of the total population of India. This section, besides begin the most energetic, active and ambitious, is a valuable resource for the country. The majority of our country’s population has been dependent on farming and related activities from the very beginning. It is also natural because India is a country of agrarian economy. It is another matter that the effect of modernization and industrialization has increased with the change of time. Thereby, the central government and various state governments have been focusing on promoting self-employment and skill development for the past few years. On the occasion of “National Youth Day”, Prime Minister Shri Narendra Modi had meaningfully said we want our young people not to seek employment, but to become employers. In fact, empowerment of rural youth is directly related to the empowerment of villages. The faster the pace of village empowerment and the wider its scope, the empowerment of rural youth will be as comprehensive and effective. However, in present time, there is an issue that has emerged in this regard that, after getting higher education, rural youth does not want to live in village. He migrates to the cities, even though his standard of living there is much lower as compared to the village. This causes double damage to the country. On one hand, there is an unnecessary burden on the already limited infrastructure and resources of the urban area, while on the other hand, has own village becomes a victim of neglect. If that young man uses the education and skills to develop and uplift the village, it can speed up the progress of the village, suggest a new path of progress to the whole village and contribute to its prosperity. The Pradhan Mantri Awas Yojana-Gramin has truly transformed the landscape of villages. In fact, with this massive change in the nature of villages today, there has been a significant change in the nature of the whole country. The spirit, which the Prime Minister Awas Yojana (Rural) has kindled in the rural youth to live in the village and contribute to local development by providing the rural youth housing facilities as in a city in the village itself, is praiseworthy. Rural Housing scheme has increased the pace of construction activities that led to creation of large-scale employment opportunities. Under this scheme, there is a target to build one crore houses by March 2019. The 14th Central Finance Commission has increased the grant for village panchayats to Rs 2,00,292.20 crore for the development of villages for a period of five years which is three times the grant sanctioned by the 13th finance Commission. Gram Panchayats are expected to get almost the same amount from MGNREGA. Today, for the development of rural areas and empowering the rural youth, the Gram Panchayats have access to the funds of the central finance commission and the funding of state finance commission. Besides, the funds are also being received by gram panchayats through convergence of a number of other schemes. In this way, there is now no issue of lack of funds for the development of infrastructure in the villages. Increased flow of funds in the rural areas has helped in the economic progress of rural areas and prosperity and empowerment of the youth. There is no exaggeration in the fact that Indian villages have become stronger, more prosperous and financially more empowered than ever before and it has catalyses the empowerment of rural youth. Dependency on agriculture as a major employment avenue of rural youth has reduced, and the income of the rural households is now supplemented by activities like small scale manufacturing, construction, food processing, repair and semi-skilled or unskilled services. Agriculture clinics, agri-business centers and common service centers are also helping in the socio-economic empowerment of rural youth. The concept of “New India” free from poverty, unemployment and corruption is intrinsic to our culture and national values, but to achieve this, every Indian will have to come forward with strong determination and willpower. Nearly half of our country’s population is dependent on agriculture or allied activities and this sector provides only partial employment. Thus, full or proper use of capable manpower in the form of rural youth is not being made. Providing skill training to such a large unskilled human resource is no less than a challenge. If efforts are made to showcase agriculture as a profitable business, a large number of educated and trained youth will be drawn to this business. For this, it is necessary to give industry status to agriculture. In the report of the NITI Aayog on “skill Development and Productivity of the workforce”, it has been mentioned that 70% of India’s labor force inhabits the rural areas, which is dependent on low productive agricultural activities and where employment opportunities are very less. This causes decline in quality of production. The report has expressed happiness over the fact that it is through MGNREGA, efforts are being made in rural areas to coordinate laid down priorities for rural development with the training system and promotion of those non-agricultural activities which might increase the income of the rural people. Efforts are also being made to remove the difficulties arising out of seasonal fluctuations in the agriculture sector. Through the use of new technologies, alternative crops and labour-intensive crops, the concept of high yield in minimum agricultural land, better income and satisfactory employment is being envisaged. This report also affirms that most of the rural households engaged in farming have disguised unemployment. It is such a situation in which large part of the labor force has no work or it is working in an unproductive and redundant manner. In only a few employments, more than required workers are engaged. Such labour force should be prepared to move from direct labor to allied activities such as food processing. It is a matter of satisfaction that the government of India is giving adequate emphasis on allied activities of agriculture. The government has implemented two-point program for making micro, small and medium enterprises and start-ups as engines of development for India. Under the first program, with the aim to improve country’s large economic indicators, emphasis was given on ease of doing business and on top to bottom improvement programs. It has benefitted all entrepreneurs especially MSMES and startups so that they can accelerate the pace of development, and mobilize employment opportunities for nearly one million Indians who emerge as labour force every month. Initiatives like introduction of goods and services tax (GST), institutional mechanism for settlement of debt relief and bankruptcy cases, liberality in FDI, strict and effective action in the case of bad debts of banks and massive investment in infrastructure have proved as life giving force for MSMES and startups. The e-market place portal’ has been launched to streamline the government procurement system. It facilitates smaller companies to bid online for government contracts on competitive rates. On the basis of GST filing, re-classification of these units has ended the inspector rule. The reduction of corporate tax rates from 30 percent to 25 percent for companies whose annual turnover is upto rupees 250 crore has benefitted more than 6 crore MSME units. Apart from this, under long-term government purchase policy of the government of India, it is now mandatory for every central ministry/department/public sector undertaking to procure at least 20 percent of the total annual procurement of goods and services from Micro and Small Enterprises. There are 358 items which can be procured from MSMES only. In order to ensure that these enterprises have easy access to the capital, the present government has taken several measures. The government has ensured that new economic opportunities are available to all sections of society, including second and third tier towns. For instance, “Department of Industrial Policy and Promotion” has launched a startup tour program, under which a mobile van is sent to second/third tier towns to identify and promote entrepreneurial talents there. 97 lakh 78 thousand are in rural areas and more than 6 crore 12 lakh in urban areas. In manufacturing, there is an estimated 45 percent share of this sector while in India’s export, the share is about 40 percent. Recently, its growth has been recorded in double digits. It is clear with this, that MSME sector has helped in the empowerment of rural youth of all section. Mahatma Gandhi National Rural Employment Guarantee Act (MGNREGA) has played an important role in enhancing the livelihood security of families in the rural areas of the country. Under this scheme, a minimum of 100 days of guaranteed wage employment is being provided to the adult members of each rural household who wish to undertake unskilled manual labour work. MGNREGA has had substantial and positive impact on the rural economy. During the financial year 2018-19, till December 3, 2018, 165.78 crore labour days were generated and the average number of work days per household was 46. In this, participation of women was 53 percent and that of scheduled castes/scheduled tribes was 39 percent. This scheme has helped increase the agricultural productivity as well as the income of rural households. Deen Dayal Antyodaya Yojana- National Rural Livelihood Mission is being implemented with the aim to improve the quality of life of seven to eight crore poor rural households in more than 647 districts, 6,559 blocks, about 238,000 village panchayats and around 640,000 villages. Under this, special attention is being given to the rural poor families, people who carry human faecal waste, victims of human trafficking, deprived tribal groups, differently- abled and legally released bonded laborers. At least one female member of the specified rural poor family is included in self-help groups and related organizations in a time bound manner. 4.23 lakh people as against the target of 3.97 lakh. 3.49 lakh people were provided employment. With this, the youth of the rural areas got a good opportunity to start a small trade or restart the business once closed due to lack of funds. It is clear from all these facts and figures that the pace of development of our villages has accelerated and it has positively impacted the empowerment of youth in rural areas. The need of the hour is not only to provide rural youth education and skill training at par with international level and maintain current pace of providing them suitable employment and self-employment, but also take the pledge to enhance the momentum constantly.